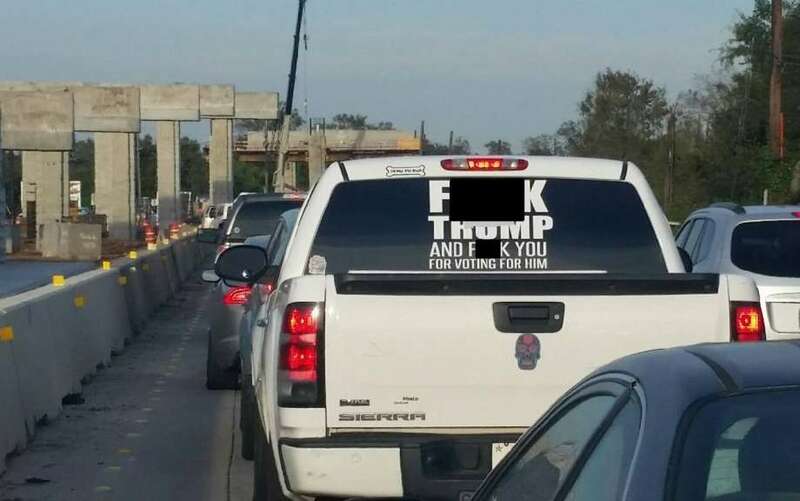 HOUSTON (AP) The driver of a pickup displaying a profane message to President Donald Trump and his supporters has posted bond after being arrested near Houston on an outstanding warrant. Karen Fonseca, 46, left the Fort Bend County jail late Thursday after being arrested earlier in the day on a fraud charge. The sheriff’s office has not provided details of the warrant and Fonseca says she had been unaware there was a warrant for her arrest. Fonseca began speaking publicly about the anti-Trump decal on the rear window of her pickup after Fort Bend County Sheriff Troy Nehls mentioned it in a Facebook posting Wednesday. Nehls says he was considering a disorderly conduct charge, but District Attorney John Healey said he didn’t think it would be a prosecutable case.